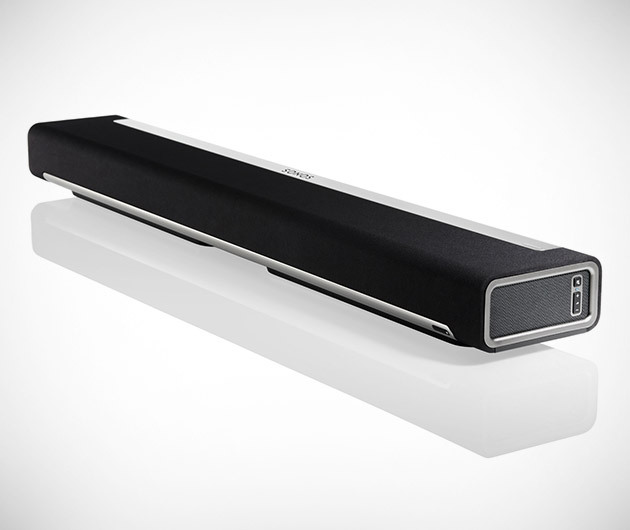 Absolute audio magnificence, the Sonos Playbar is a soundbar with a difference. It boasts wireless streaming capabilities, will work with pretty much all IR remotes as well as free apps on your smartphone and will connect seamlessly with all HD TVs, satellite boxes, games consoles, Blu-Ray players and more. Immerse yourself in the most immense of noises.